It's the final day of the Lil' Inker Designs August Release. As usual, I hope you've enjoyed the days of hopping. You should have arrived from Jen's Blog! 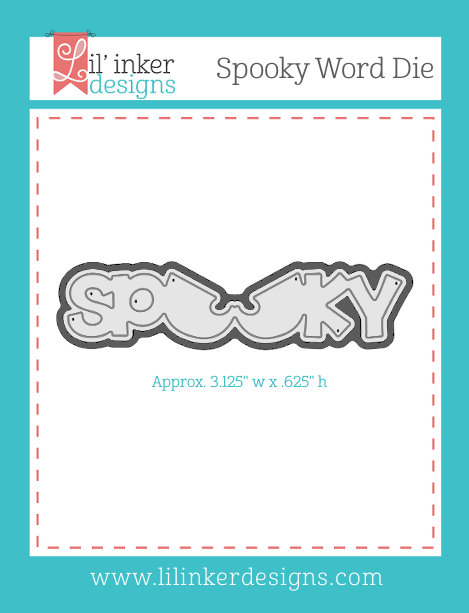 My first project today features the ultimate Halloween product, Spooky Word Die! I used the die as a focal point, and added the die cut bat from Broomsticks and Bats (last year's release) as well as a sentiment from the new Boo & Faces stamp set. 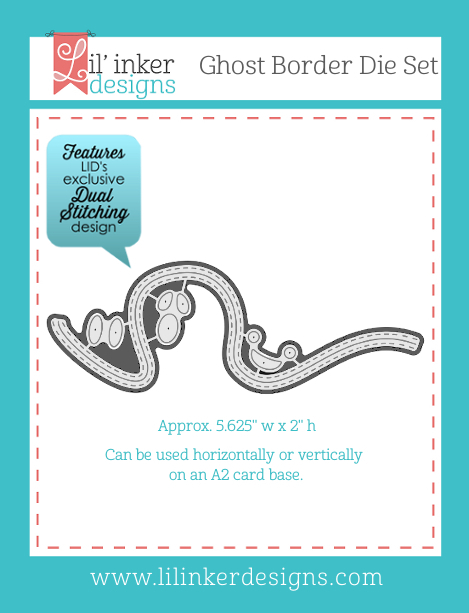 My next project features the cool and innovative Ghost Border Die Set! I die cut the ghost from a white card base. I adhered a dark purple piece to the inside of the top of the card, and then attached the ghost with dimensional adhesive. 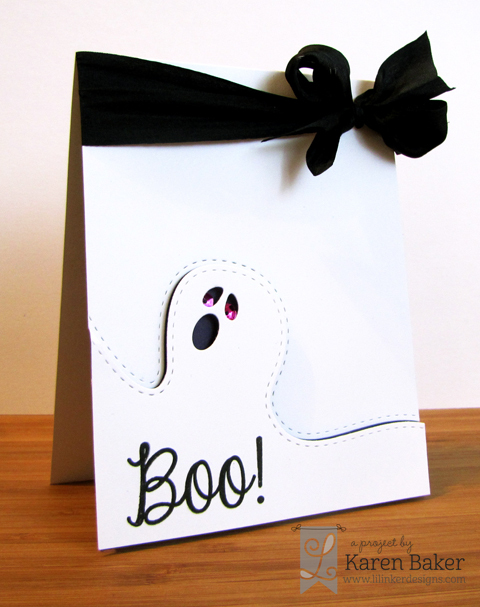 But first, I added two pink sequins behind the die cut for some spooky eyes and stamped a sentiment from Boo & Faces! 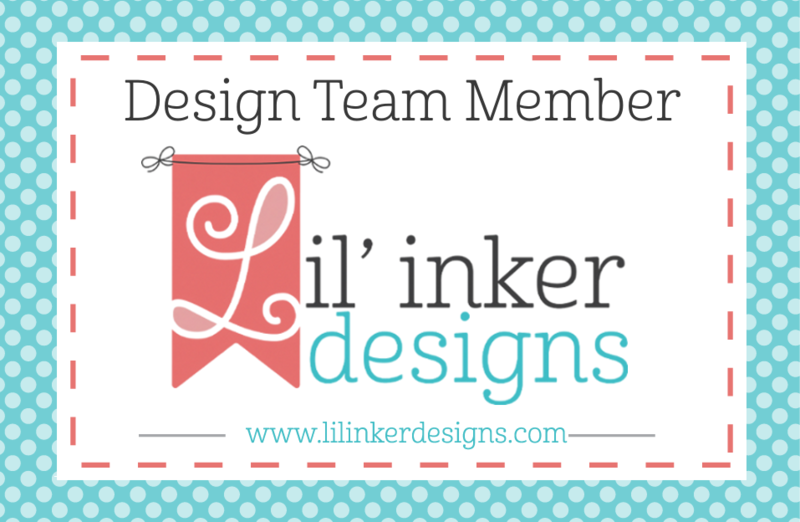 Welcome to the second day of the Lil' Inker Designs August Release. As usual, we have a fabulously spooky hop for you. You should have arrived from Jen's Blog! 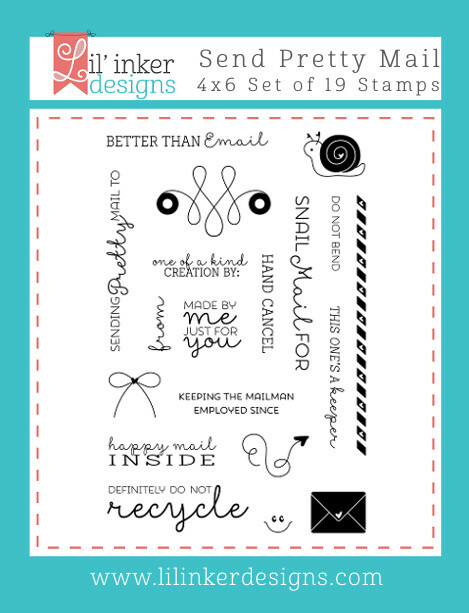 Seriously, how cool are these products that I featured on my card today!? 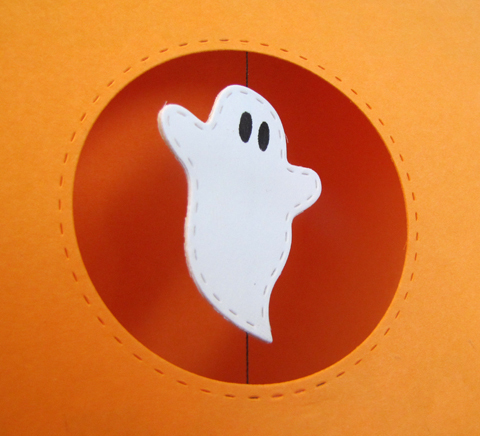 Today's card features the Stitched Ghosts Die, with a neat interactive element! I cut a circle (using LID's Exclusive Double Stitching Circle Dies) from cardstock, then sandwiched a length of string between two ghosts that were glued together. 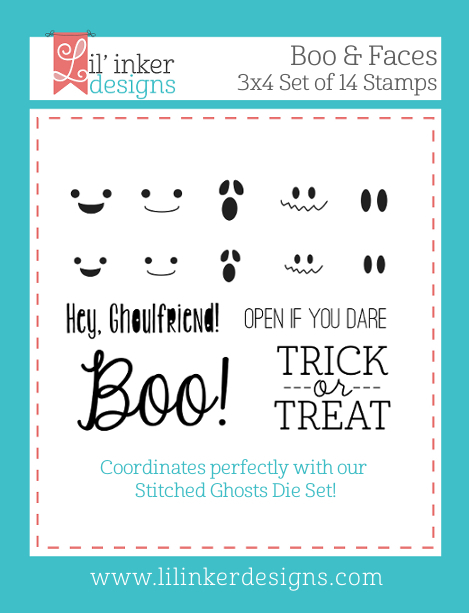 I did add a bit of character to the ghost using the Boo & Faces stamp set! 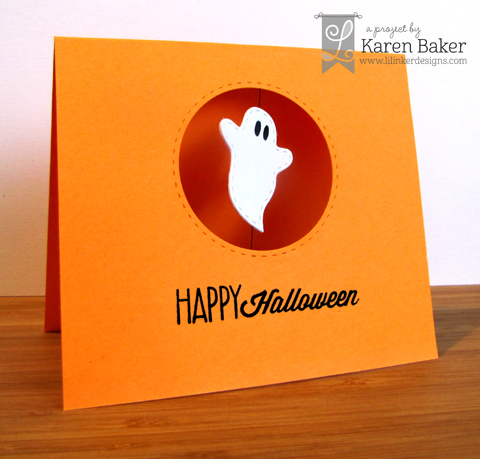 I attached the string to the card using washi tape on the inside panel, and the ghosts twists and turns! 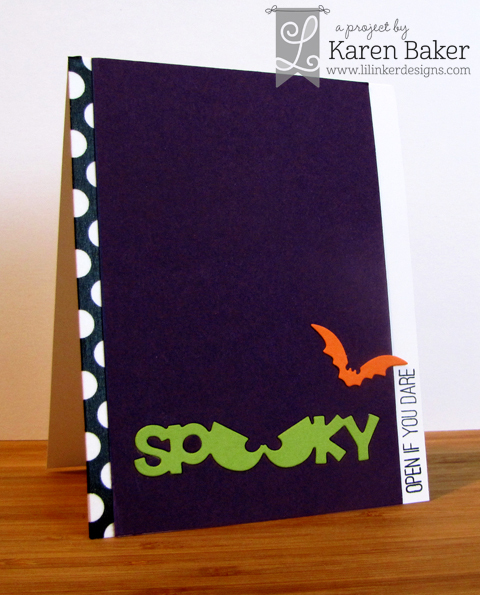 The sentiment is a combination from Sending You and Classic Halloween stamp sets! Woohoo! 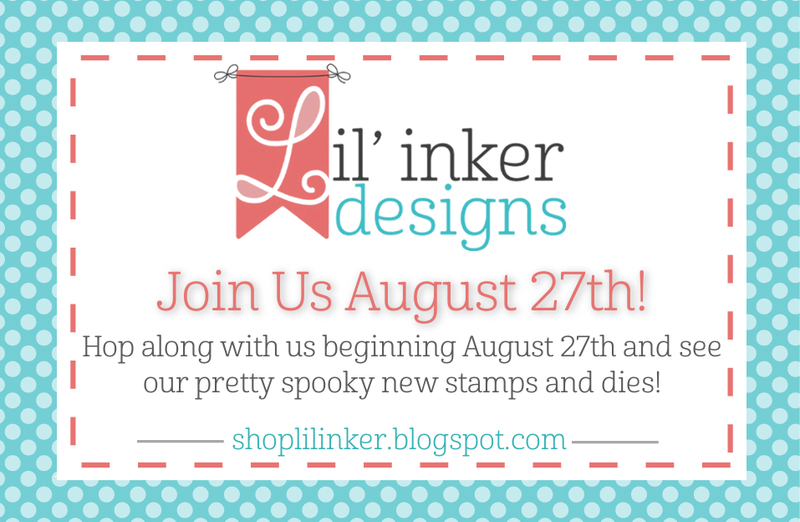 It's Day One of the Lil' Inker Designs August Release. 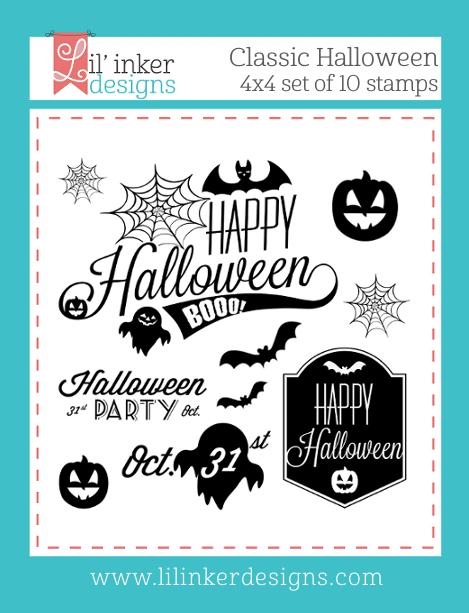 As usual, we have a fabulous hop for you featuring innovative stamps and dies, with a big of spook to some of them! You should have arrived from Jen's Blog! My project today features FOUR awesome new projects! 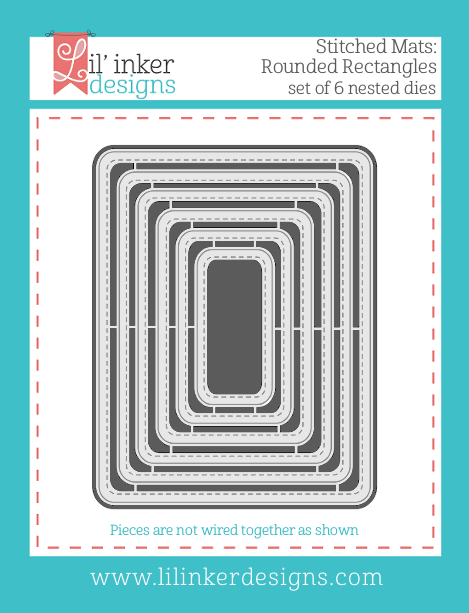 The card started with a white cardstock base and I used a combination of stamps from Sending You plus dies from Mini Envies and Accessories to complete it! What a perfect pairing. 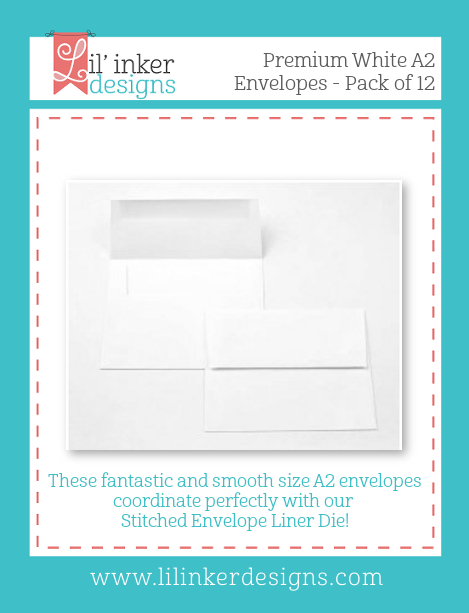 LID has also released some Premium White A2 Envelopes and you can customize them with the Stitched Envelope Liner Die. 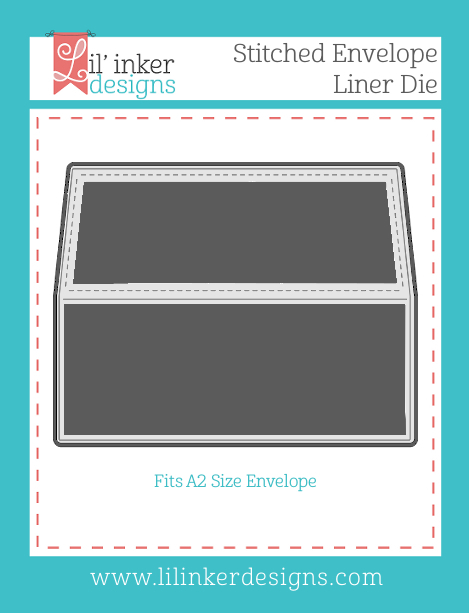 It is so simple to jazz up an envelope with this die! Love it! 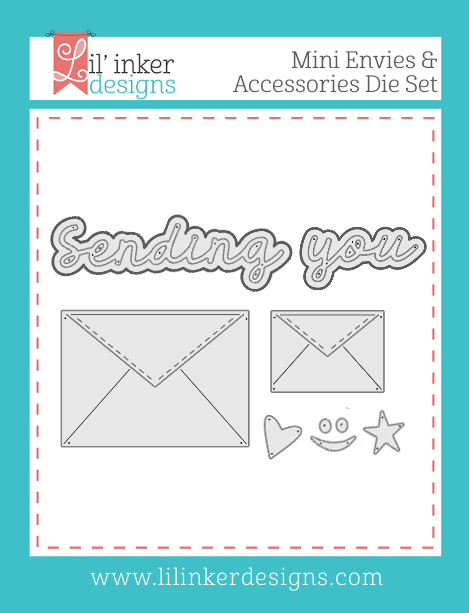 My second card features another coordinating stamp set with the above products, this one is called Send Pretty Mail. 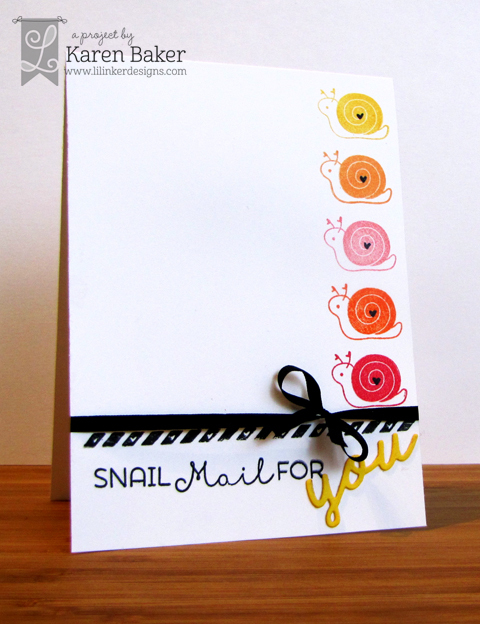 I stamped the cutie pie snail in a rainbow of hues, then added black accents, a black May Arts Silk Bow and a sentiment. 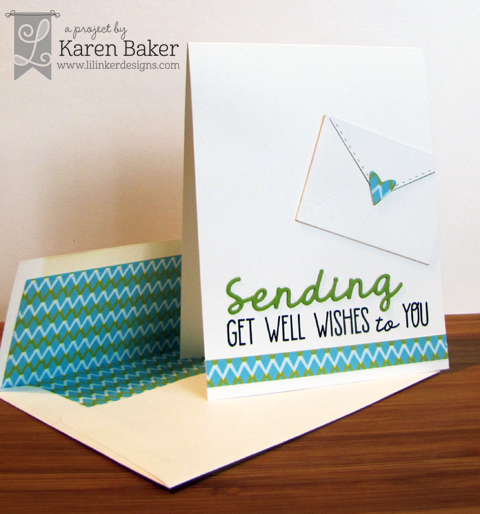 The sentiment was completed using the You Word Die from Mini Envies and Accessories Die set! Oh yeah!!! 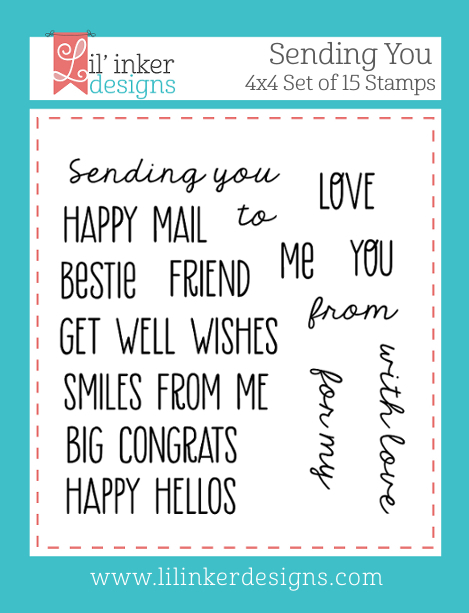 We have THIS for you too to celebrate Lil' Inker Design's 4th Birthday! Please check out the blog for more details!! May Arts just released more fabulous ribbon in 2014! New textures, new colors & best of all – new inspiration! You can check out the new releases here, and the Ribbonistas are featuring projects using these beauties all week long, with each Ribbonista has been assigned one new series to play with. 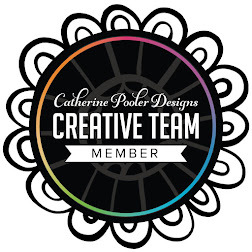 Of course, there is a prize up for grabs by commenting on the May Arts Blog and visiting participating designer blogs: 3 prizes of 1 spool each from our new releases. That’s 3 chances to win! I had the pleasure to work with the new colors of the Paper Raffia Line (Series JPP). I love making card and featuring ribbon on them. My first card (above) features three new colors as flowers. A card without a lot of bulk! I took some double side adhesive and wound the raffia on it, and simply adhered the blooms to a previously stamped card base. 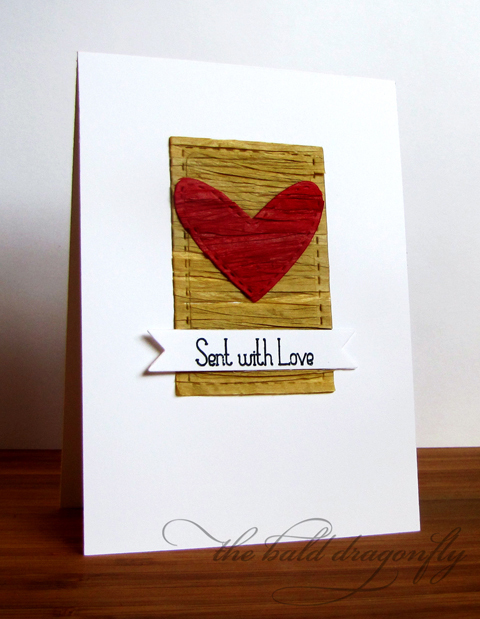 This next card features paper raffia as a lovely textured background. I simply layered the raffia onto a die cut double sided adhesive pattern and attached it to a card. 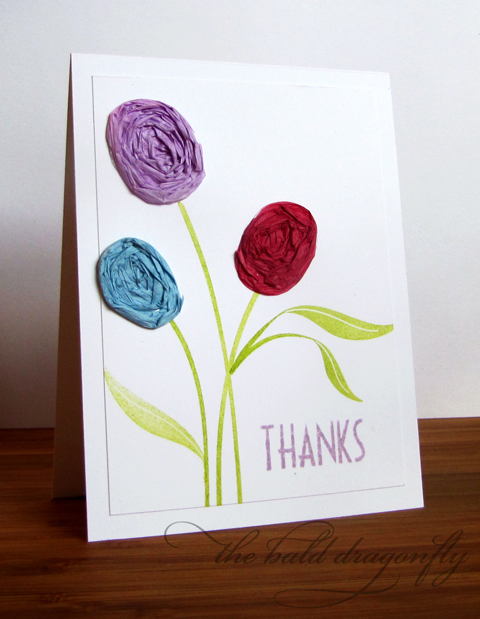 My last card featured a fun and playful way to use the paper raffia on a card! 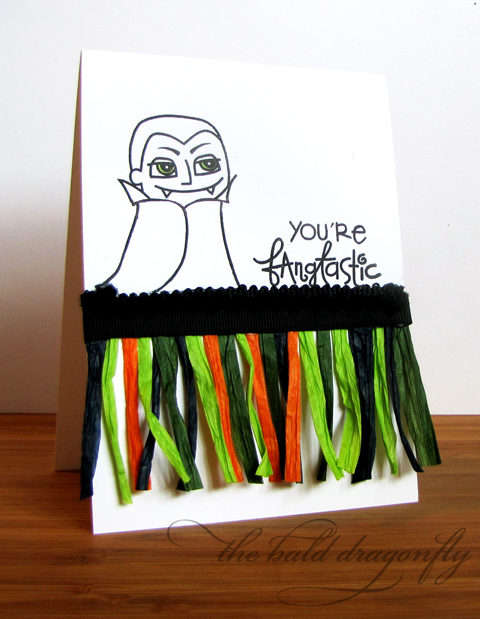 I attached a strip of double sided adhesive to a card base and just layered a bunch of strips of the raffia on top! I finished the card with the fun mini poms in black. I really enjoyed working with the paper raffia outside of tying bows on packages, which is also a perfect use of the paper raffia! I hope you enjoy seeing all the projects and make sure you check out the new releases on the May Arts Blog and leave a comment!